Jabal Al-Nour is one of the most well-known mountains in Saudi Arabia due to its religious and spiritual importance for Muslims all over the world. Jabal Al-Nour is located in the eastern north of the Holy Haram at Mecca City. It is called Jabal Al-Nour because it witnessed the lights of Prophethood with the first revelation of Prophet Muhammad -PBUH- with the first verse of Holy Quran “Read in the name of your Lord who created. It was a significant moment in the history of mankind after which humanity came out of the darkness of disbelief into the light of faith. It is too sloping with a height of 642 m and an area of 5 km. 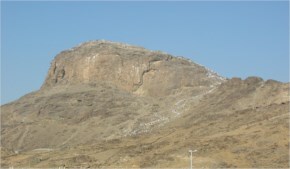 The top of the mountain is similar to tarboosh or hump of camel. with its unique shape, its base is connected to mounts around it from all sides. No mountain in Mecca is similar to this mountain. Cave of Hira is located 20 m Near the top of Jabal Al-Nour, the place where Prophet Muhammad -PBUH- used to contemplate and perform his prayers before revelation. The cave is a gap in the mountain with a door in the north side. 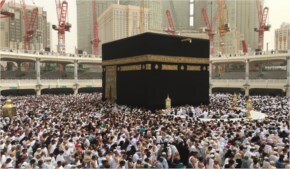 It has a capacity for 5 people and the one who enters is directed towards Mecca and capable of viewing Mecca and its buildings.